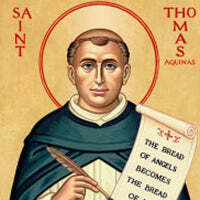 Saint Thomas Aquinas is universally recognized as one of the greatest philosophers who ever lived. His writings combine the two fundamental ideals of philosophical writing: clarity and profundity. He is a master of metaphysics and technical terminology, yet so full of both theoretical and practical wisdom. He is the master of common sense. His major work, the Summa Theologica, is timeless, but particularly important today because of his synthesis of faith and reason, revelation and philosophy, and the Biblical and the classical Greco-Roman heritages. This unique book combines selected essential philosophical passages from Thomas' Summa with footnotes and explanations by Kreeft, a popular Thomist teacher and writer. Kreeft selected those passages from Thomas that are intrinsically important, non-technical enough to be intelligible to modern readers, and most likely to be used in a class or by independent readers who want to study the Summa on their own. Kreeft's detailed footnotes explain difficult or technical passages and call attention to points of particular significance for the modern reader. This book is the most intelligent, clear, and useful access to Saint Thomas in print. Includes a glossary and an index.